Absolutely loved the para sailing experience provided by Klook and Mr.Gelgel and his team.They were polite,courteous with us and at the same time very professional in the way they went about organising the activity for us. We were picked up from our Villa and taken to the beach and brought back to our Villa under 3 hours. The safety equipment used also was very new and good quality. We are a family of 3 and we did the para sailing three together which Gelgel recommended.All in all it was a Great experience for us. Definitely a true VIP moment. Seeking for the thrill of a lifetime? Ready your travel essentials, grab your best travel buddies, and get ready to have the ultimate adrenaline fix in Nusa Dua! 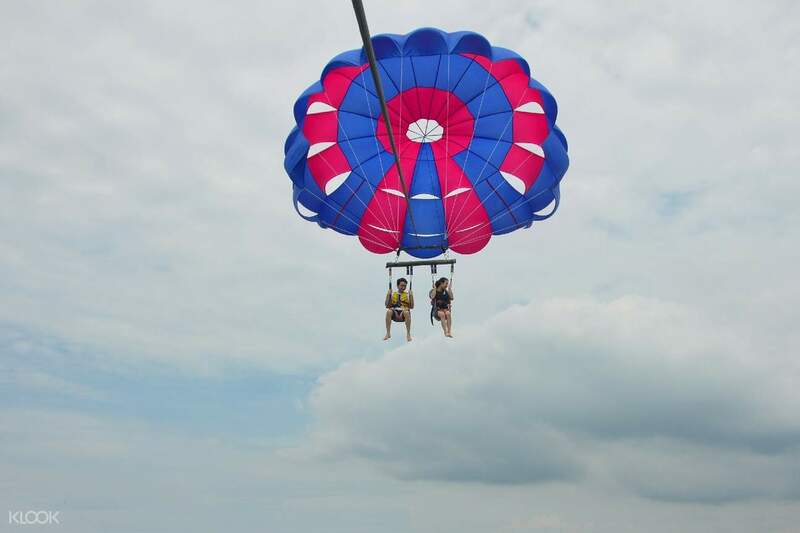 This breathtaking area in the south of Bali is not only known for its beautiful sandy beaches and mesmerizing sceneries, its wide array of water sports activities will definitely be the highlight of your trip. 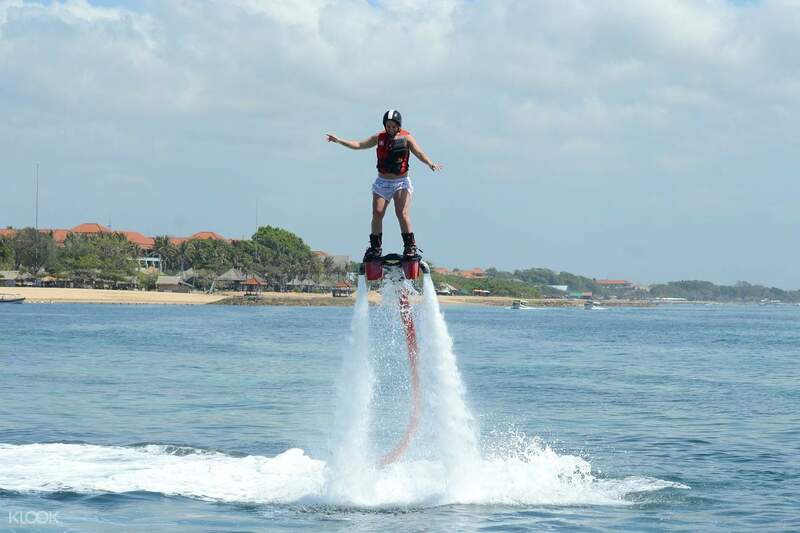 You don’t need to have superpowers or a high-tech body suit to fly high like a superhero as the Jetovator, flyboard, and parasailing experiences will let you defy gravity and soar high above the waters. 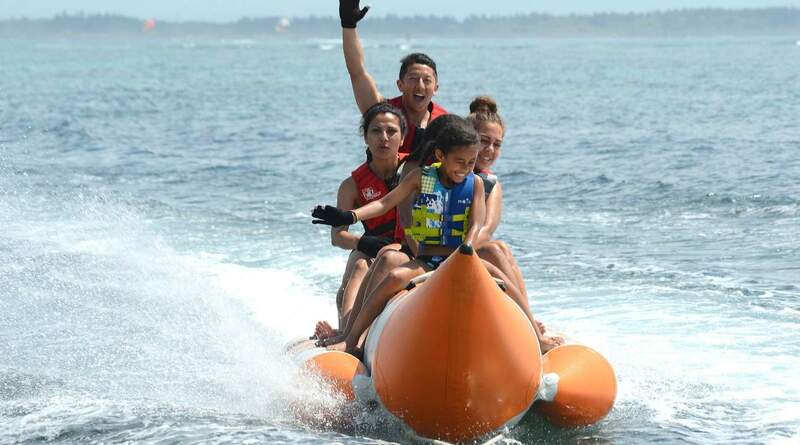 Satisfy your need for speed and hop on the banana boat and jet ski available in the packages. If you’d rather explore the world below the waters, then you can always book the sea walker experience and stroll up to 7m underwater. Or, get the best of all worlds when you choose the Water Sport Fun Package. 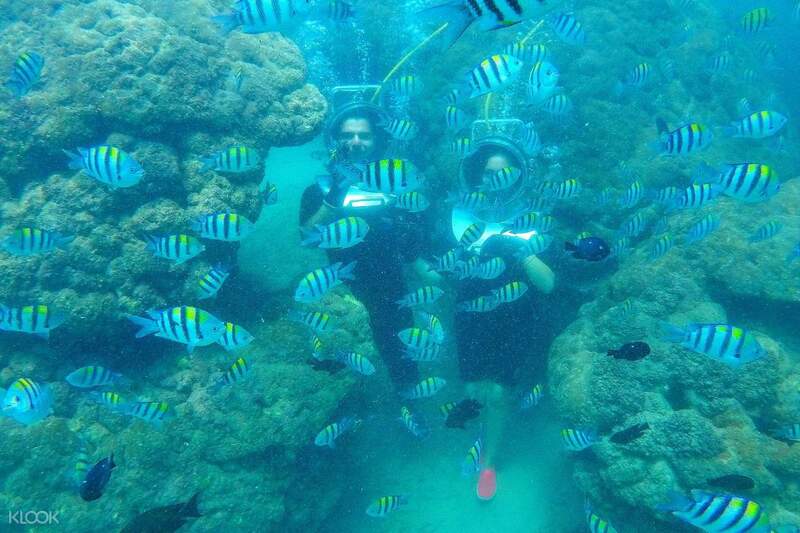 Plunge into the waters, soar high, twist, and ride through the crystal clear waters of Nusa Dua! Enjoy these thrilling water expeditions even more with hassle free transfer services available in selected Bali areas. Absolutely loved the para sailing experience provided by Klook and Mr.Gelgel and his team.They were polite,courteous with us and at the same time very professional in the way they went about organising the activity for us. We were picked up from our Villa and taken to the beach and brought back to our Villa under 3 hours. The safety equipment used also was very new and good quality. We are a family of 3 and we did the para sailing three together which Gelgel recommended.All in all it was a Great experience for us. Definitely a true VIP moment. Absolutely loved the para sailing experience provided by Klook and Mr.Gelgel and his team.They were polite,courteous with us and at the same time very professional in the way they went about organising the activity for us. We were picked up from our Villa and taken to the beach and brought back to our Villa under 3 hours. The safety equipment used also was very new and good quality. We are a family of 3 and we did the para sailing three together which Gelgel recommended.All in all it was a Great experience for us. Definitely a true VIP moment. The pick up by Gelgel was smooth and on time. Gelgel our activity guide was informative and helpful. Amazing views of Nusa Dua beach from air, the equipments were good and the support staff was cheerful. Overall a five star experience. The pick up by Gelgel was smooth and on time. Gelgel our activity guide was informative and helpful. Amazing views of Nusa Dua beach from air, the equipments were good and the support staff was cheerful. Overall a five star experience. Gelgel is an amazing guy and he instructed us before parasailing and seawalk. He took care of us personally and we had the best time with him as well as water sport. I really recommend to use his service. Gelgel is an amazing guy and he instructed us before parasailing and seawalk. He took care of us personally and we had the best time with him as well as water sport. I really recommend to use his service. Activities itself were awesome! 😊 Gel gel is very accomodating and friendly as well. He let us use his own DSLR cam to capture those moments. Activities itself were awesome! 😊 Gel gel is very accomodating and friendly as well. He let us use his own DSLR cam to capture those moments. GelGel , a good boss , has a great team , bring us a wonderful time . I give you 10 stars! GelGel , a good boss , has a great team , bring us a wonderful time . I give you 10 stars! Amazing experience! The host GelGel was very accommodating and he made sure we’re comfortable, safe and happy the whole time. 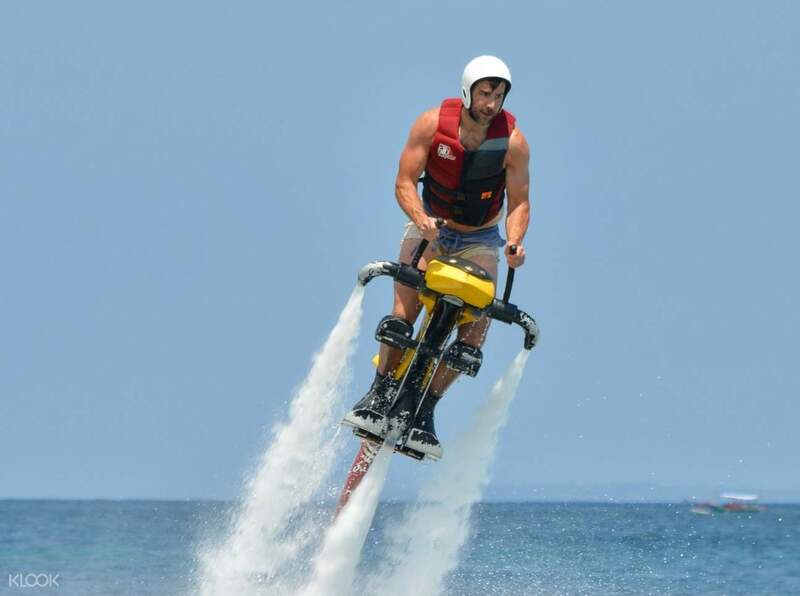 I would recommend this to anyone who wishes to do water sport activities in Bali. We loved it so much we’re coming back for another round today! Oh and one more thing, we took the photo package and they take amazing photos for us! No need to worry about carrying our phones to take pictures! Amazing experience! The host GelGel was very accommodating and he made sure we’re comfortable, safe and happy the whole time. 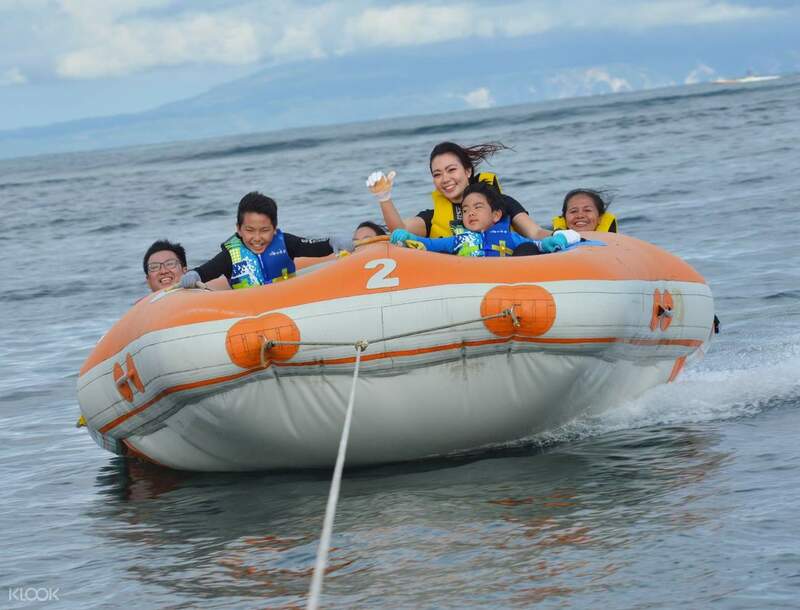 I would recommend this to anyone who wishes to do water sport activities in Bali. We loved it so much we’re coming back for another round today! Oh and one more thing, we took the photo package and they take amazing photos for us! No need to worry about carrying our phones to take pictures! it was amazing experience with gelgel. He guided us in a professional manner and also facilitated with everything which ever was required for making water sports fun in bali. it was a great experience with Gelgel team. Really Enjoyed It. it was amazing experience with gelgel. He guided us in a professional manner and also facilitated with everything which ever was required for making water sports fun in bali. it was a great experience with Gelgel team. Really Enjoyed It. Booked from Klook, and the Boss Gelgel immediately contact us. At the day we booked, the driver was on time to pick up. When we arrived, Gelgel is really nice and introduced all water sport for us. We also choosed the DLSR pictures and that was very worth it! The whole team are professional and kindly with passion to treat every customer. All sports are safe with this team. Strongly recommend for this event on Bali Nusa Dua! Booked from Klook, and the Boss Gelgel immediately contact us. At the day we booked, the driver was on time to pick up. When we arrived, Gelgel is really nice and introduced all water sport for us. We also choosed the DLSR pictures and that was very worth it! The whole team are professional and kindly with passion to treat every customer. All sports are safe with this team. Strongly recommend for this event on Bali Nusa Dua!